Phantom Rose – Inworldz Turns 3 years old! This August is the 3rd Birthday for Phantom Rose at Inworldz! Not only does the sim turn 3 years old, but I just underwent a huge conversion from a full sim to the new 2×2, Quad sims. So now the estate consists of Phantom Rose, Phantom Mists, Phantom Nights, Phantom Dreams and a scenic, Phantom Isles. I have been working more than a month to redesign the spaces and even out the primage. But before I tell you about the conversion, let me give you a little history. I have long felt that competition is a good thing for products. And I have lent my support to many of the new grids that started to crop up along side Second Life. I immediately like Inworldz more than any of the others. The founders seemed more responsive, they strove to give transparency and legitimacy to their grid and they were further along than others I visited. I rented land to begin with. I took time to look around and visit sims and shops. I liked what I saw. 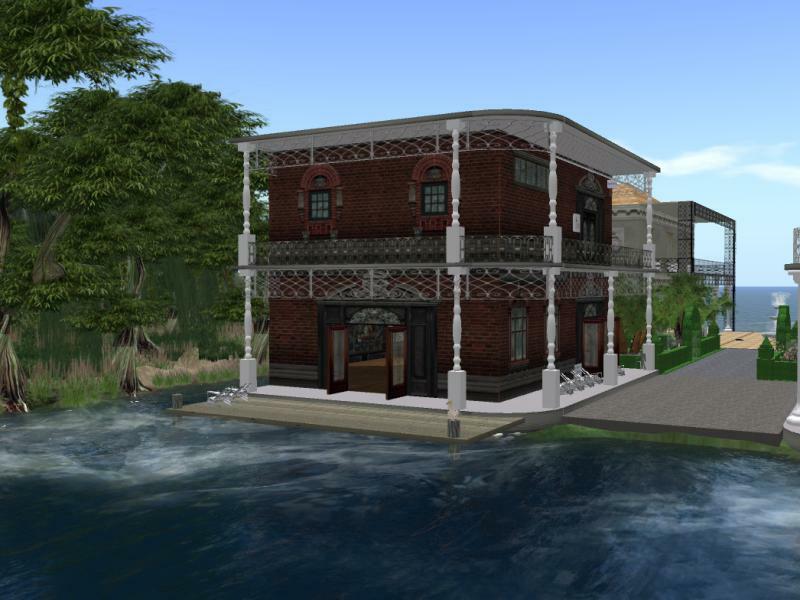 I told people at the time that I considered my time at Inworldz like a “cottage by the lake”. A place to visit and have fun. Not my home, but definitely a vacation home. Over the time, I decided to get a sim; the pricing was really good and the prims plentiful. I played around… for long time I was a woodland fairy. It was a lot of fun and no stress. Three years ago, I realized that I wanted to expand my Phantom Rose empire and Inworldz was the right place, so I changed the name of my sim to Phantom Rose and started redesigning. In Second Life, my sim is gothic castles, but here in Inworldz I wanted to do something different, so I decided to concentrate on New Orleans and the bayou. I felt they gave that decadent, fading beauty that makes a great backdrop for my “gothic romance” theme. While Inworldz Phantom Rose is not the same as Second Life Phantom Rose, they do share similar elements. In both grids there is a spooky Graveyard. 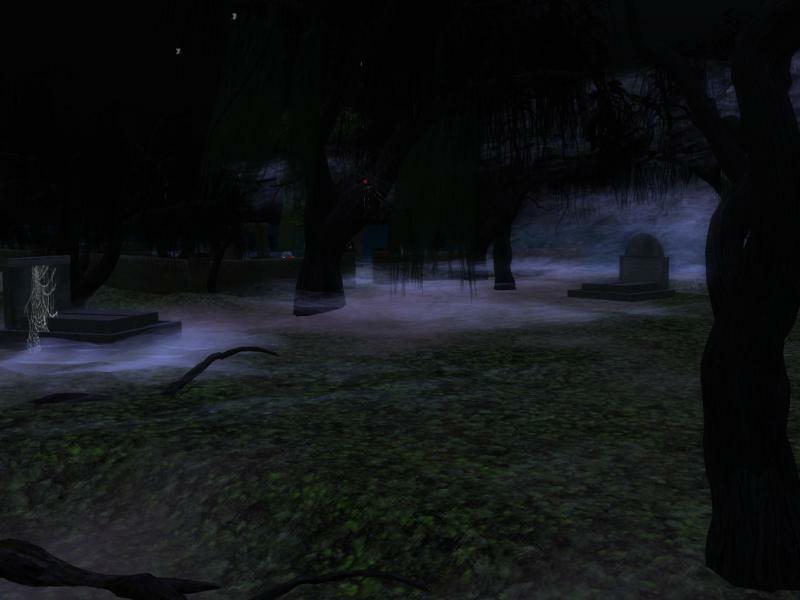 Here is a picture of one part of the Inworldz graveyard. They both have a ballroom called “The Ruins”. 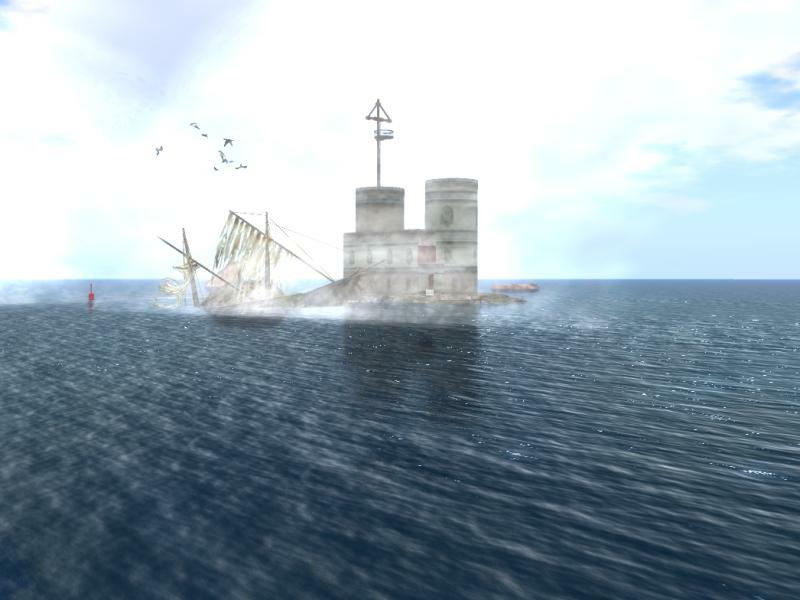 At Inworldz, the Ruins is an old mansion. And of course, both grids have the Opera House! I built the Phantom Rose Opera House at Inworldz with inspiration from a real antebellum mansion, Longwood. The new conversion has given me much more space, although not more prims. This required some big changes to Phantom Rose. I have moved the Dark Nights Role Play area to Phantom Nights sim. It now has a larger surface play area and still has the upper members only levels. I have added the Lewt system quests and also two other 24/7 quests with prizes to keep you busy! I will do a blog post on the Lewt system at a later date. I moved Pirate Cove to Phantom Dreams and the Dark Nights bayou is just over the sim line from the Vieux Carre. Big Easy Jazz on the Vieux Carre. I hope you will drop by and visit this month to help us celebrate. The Phantom Rose Estates is part of the Magellan Sea Community and has access to the Iz’s Oceans. Many of my Magellan neighbors have awesome sims and its really worth coming out and exploring our area. Hope to see you there! 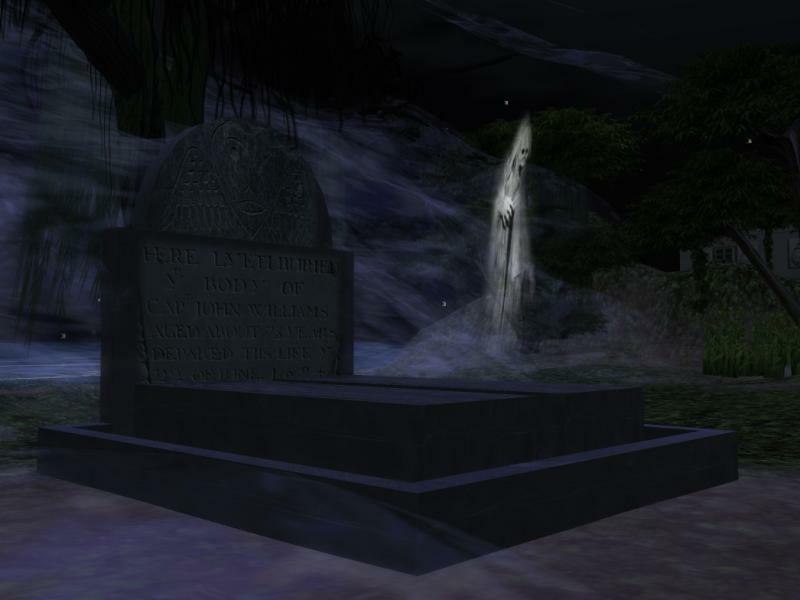 This entry was posted in Phantom Rose Inworldz and tagged Goth, Gothic, Gothic Romance, Inworldz, Magellan Sea Inworldz, Mermaid, Phantom Rose Inworldz, Virtual worlds. The Phantom Rose Opera House in InWorldz turns 3 years old this month!